Don’t spend another summer stuck in the city. Find your home away from home at Headquarters RV Park, and experience the northern outdoors like never before! Welcome to Headquarters RV Park – the perfect new setting for all of your summer memories! Situated on 30 acres of beautiful northern wilderness near Voyageurs National Park in Northern MN. Headquarters RV Park offers thirteen spacious, full-service sites. 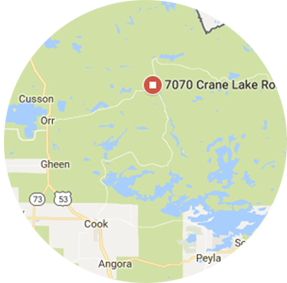 Our central location is just a short drive from the beautiful shores of Crane Lake and on the border of Voyageurs National Park and Superior National Forest. Our location makes Headquarters a perfect home base for all of your north woods adventures! Experience the beauty of nature from the comfort of your camper. All of our sites are elevated, level, and individually separated. Each is surfaced with natural rock that adds to the beauty of the setting while also keeping the interior of your RV clean. We offer 20, 30, or 50 AMP service to every site, and our engineered water system gives full pressure to each RV at all times. 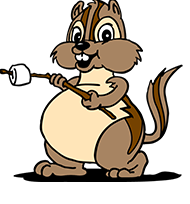 You can find Headquarters RV Park in heart of the breathtaking Voyageurs National Park wilderness, on the border of Crane Lake and Buyck, Minnesota.